Real Techniques present the Core Collection to create a flawless matt canvas with these coverage essentials. 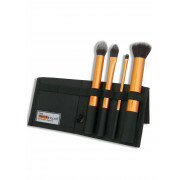 This pack includes four full sized brushes and a case. 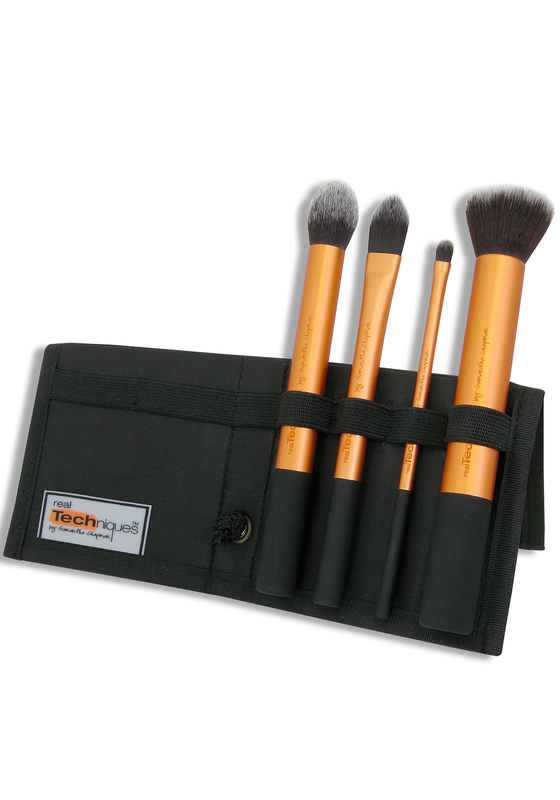 Detailer brush-conceal problem areas and or shape and define the lip area with this brush. Pointed foundation brush- apply foundation effortlessly giving yourself perfect coverage. Buffing brush- perfect for applying a powder all over the face. Contour brush- highlight contour areas or create a soft finish. Panoramic case- two in one includes case and stand. Soft and easy to use brushes look pixel perfect even in harsh light.